Over the days, the stereotype for cheap movers have changed. Cheap Moving usually meant that the move is of poor quality that is why the cost is a lot cheaper than the other movers. But on the modern days, there are Cheap Removals Sydney that provides cheaper cost move yet the quality of the services are comparable to the bigger and more expensive providers of moving services. Yes they exist! Cheap and high quality service can co-exist. Pro Removalists Sydney is one of the leading providers of Cheap but quality moving services. There are many movers that provides cheap moving but not all providers of cheap movers offer high quality moving services. There are other movers who say that they offer great services at a cheap cost, but most of them just actually want to scam their customers. That is why if you are going to hire a moving company, it is important to look for a professional cheap removals Sydney . Just because the prices are lower, doesn’t mean that the quality of the move is also low. There is a huge competition in the moving industry and one way to compete against other companies is to lower the cost of moving. Of course, with a better quality yet cheaper cost, there is a higher chance that the company will be hired. That is the reason why many providers of quality services have cheaper cost. Most movers offer moving services that is based on the travel time. Since professional movers have well-maintained transportation, the move will go faster and with shorter travel time, the cost is also lower. Of course, there are also other unprofessional movers that make the trip longer just to be able to have higher cost so you have to really be careful when you choose a mover. If it is your first time to hire a moving company, you might not know if their services have great quality and if the moving company has expensive cost, then you would be paying a lot for a poor quality move. On the other hand, hiring cheap movers will give you the right value for your money. The services may even be better than movers who ask for a higher cost. You can also read our other articles about the Business Move Considerations, Piano Moving and The Different Moving Equipment. Pro Removalists is a cheap removals Sydney that provides everything you need for relocating. They have the equipment to make your move smooth and stress free and have access to packing supplies to ensure safety in all of your belongings. 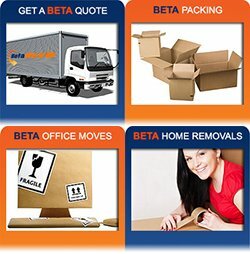 Unlike any other cheap removals Sydney, Pro Removalists can supply you with high quality packing supplies. For all your needs in making the removal successful and keeping your fragile items intact and scratch free, having them as a moving partner can give you access to these. 1. Boxes – this is very essential and useful when it comes to relocating. You would need to pack your belongings in different boxes where you should pack those that go together in one box. There are many types of these so make sure that you get many sturdy ones large enough to fit your belongings. To make the relocation more organized, you could get boxes with colors where things that belong to a certain room will be placed in one color while another set for other rooms. 2. Padding – these ensure safety in glass or fragile items. Every breakable item should be individually packed in bubble wrap, old newspapers or the like to keep it intact before placing them in their respective boxes. It is also possible to use clothes as padding instead which can also help save space for other things. 3. Packing Foam – when a box is full of fragile items like kitchen ware, you might want to fill the empty spaces with packing foam or peanuts to keep it more secure and safe while traveling. To save money, you can also use crumpled scrap papers to fill the boxes as an alternative. 4. Tape – to keep your boxes enclosed properly, you would need to tape all the open edges together. Once you are done filling a box, tape the open sides together and place another layer to keep it more secure. Pro Removalists is a leading cheap removals Sydney. They are capable of moving you in and out of suburbs safely, quickly and efficiently. Moving and relocation, from the majority of the people who already have an involvement regarding this, can say that moving is genuinely distressing and requires lots of efforts. There are such a variety of undertakings we need to complete and it could take us a few days to do every last bit of it. Obviously, not all have room schedule-wise to save due to our busy lifestyles and works. But with the help of innovation and creativity, an incredible answer for movement issues has been made: Moving Companies. Be that as it may, a few organizations are not by any stretch of providing quality and cheap removals in Sydney, as well as providing quality support to the needs of their clients, which sometimes become the reason why more and more clients are losing their trust to moving organizations. 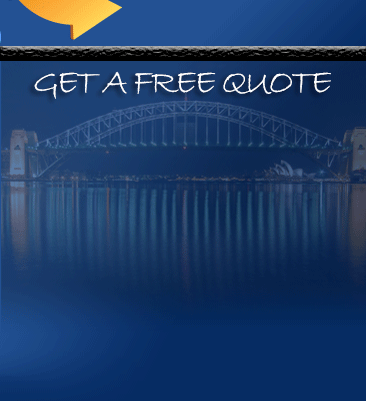 Pro Removalists Sydney is diverse and incomparable to unprofessional moving companies. Pro Removalists Sydney is one of the top and leading moving organizations. We are acknowledged all through Sydney because we are guaranteed to be extremely reliable, tried and true. As an accomplished organization who worked for over two decades, we comprehend that clients experience issues in picking the better moving organization to help them for their relocation needs. That is the reason why Pro Removalists do their best to oblige the necessities of our customers. For some who are new to movement and need to contract a moving organization, you can simply ask for help from your companions or family who has involvement in moving and moving organizations. This can help you accumulate more data that you may require. You can also approach the organization you want to contract and make inquiries about their administrations and rates. To completely trust the company, we have a tendency to get some information about their experiences. It is the same with migration, before we choose to contract movers and packers; we ought to first research the foundation of the organization. We can inquire about it better through the web since it gives more and individual data about the organization we need to enlist. 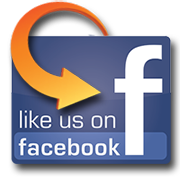 We can likewise see the remarks and surveys of their past clients. This one is imperative. All genuine organizations have permit. On the off chance that the organization you are going to contract does not have a permit, you better mull over employing it or you may fall as a conceivable casualty of misleading. There are numerous more approaches to know whether the organization we are searching for is reliable. On the off chance that you need to know more, you can call Pro Removalists, cheap removals Sydney and we will give you more tips and hints. Packing can be easily done if you follow the rules of packing. If you do not know what the rules are, then you are on the right track as Pro Removalists | Cheap Removals Sydney is going to give you the rules of packing and explain each and every rule. Pro Removalists is the best moving company that provides Cheap Removals Sydney and also helps by giving tips, tricks and details about the processes of moving. If you need help with the move, Pro Removalists is here to give you professional assistance. Our services include Packing, Planning, Unpacking, Interstate Removals, Furniture Removals, House Cleaning and home Organization. We also provides the best quality of packing materials and moving supplies. This is the number one rule as this is the number one problem of movers. Procrastination leads to loss of time, more work, and rushing which causes poor packing and planning. As much as possible, keep with the tasks and fnish them step-by-step. Before you move on to the next tasks, finish the first one. Moving is a big task! It requires your full attention, do not let any day pass by without accomplishing a single task. Don’t be shy to ask for help, it is never wrong to ask for help. If there are more people to work with, the easier and faster the task will be. Even if they can only help a little, a help is still a help and it will save you time doing the task that they can finish. You would also require assistance when carrying the packages and to help you with the things that you have minimum knowledge of. Label Everything and if possible, Color-Code! Labeling will help you in many ways, especially during unpacking. With labels, the movers will know which packages should be given extra care especially the breakables. They will also be able to immediately put the boxes to their designated rooms with the help of the labels. The color coding will help to know the number of the boxes and monitor if there are any missing packages. This will make you locate things easier. There are things that you should pack first, and there are things that you should pack last. The things to be packed last includes the essentials that you’re going to need for the rest of the days before and during the move like toothpaste, face wash, meds, towels, charges and more. Follow these rules and your things will be packed neatly and in order. If you find yourself having a hard time with packing or the whole moving process, cheap removals Sydney is the answer to your problem. At a very cheap cost, you can get a professional mover to help you! Read also our other articles about the Top Sydney Removalists, Services and Locations of Pro Removalists Sydney and the Things to Consider when Moving. Vidit or Contact us now!